Pirates, treasure, adventure: what’s not to like? I mean, this is the stuff epic childhood fantasies are made of, only this time it’s all wrapped up in a deluxe hidden object game. Half of the price of its PC counterpart, the App Store port is a steal if you’re into the genre, although expect a fair amount of squinting if you’re playing on the iPhone. Treasure Seekers starts off with heroine Nelly dreaming about her pirate grandmother. This inspires her to set off with her little brother Tommy on an epic adventure in search of her grandmother’s hidden pirate treasure. These young kids seriously benefit from their absent parents, since I’m pretty sure no adult in their right mind would let these kids get into the crazy mischief they do, playing in abandoned houses and mines, rigging up a raft to go careening down a river, chatting it up with creepy old fishermen and crazy mad scientists. Thankfully, this is just a casual puzzle game and not real life, otherwise I’d assume they were dead in a ditch somewhere. 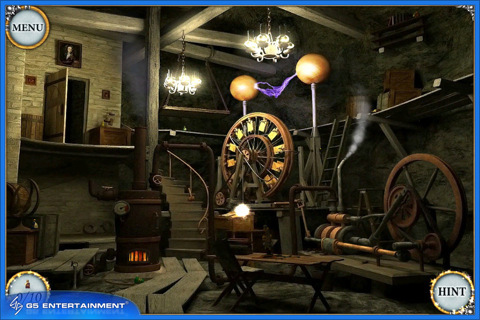 The puzzle aspect is handled a little differently than most hidden object games and in a far more elegant fashion. Instead of a long list of items to find, each beautifully illustrated scene has certain objects singled out as selectable hubs. Each hub displays the grayed-out images of certain items for you to find. You can have multiple hubs active, and sometimes the item you need for one hub is hidden behind a different one. The hub system makes the interface a little cleaner, but unfortunately, because the screen is so small, it can be simultaneously difficult to find objects and also too easy to accidentally find things you weren’t looking for. There’s no penalty for mistapping, which is good or bad, depending on how you like your challenge level, and there’s a rechargeable hint system when you just can’t find that last object. In addition to lots of object finding, there are a wide range of lightweight mini-puzzles to solve. Sliding tile, jigsaw, lights on/off, just about every casual puzzle type has been thrown in there to make for a more well-rounded game. If you come across a puzzle you don’t like, there’s a handy “skip puzzle” button for you. Overall, Treasure Seekers: Visions of Gold is definitely one of the prettiest hidden object iPhone games around. Because there’s very little animation in the game, the graphics can afford to be very lush, detailed, and gorgeously illustrated. While the items they ask you to look for don’t usually make a lot of sense, they’re really beautifully integrated into the scene and make it feel like a much more natural seeking and finding experience. I outright hated their super aggressive Facebook integration, with an obnoxious offer to post to Facebook after every major game event, but otherwise, it’s a surprisingly lovely and gentle game. 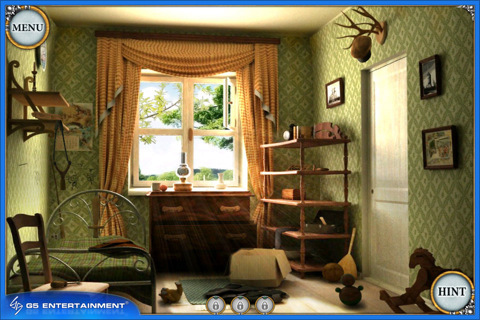 It requires some overly extensive use of zoom and may be too slow-paced for some, but in general, it’s a very solid and satisfying addition to the hidden object genre. AppSafari review of Treasure Seekers: Visions of Gold was written by Tracy Yonemoto on March 3rd, 2011 and categorized under Adventure, App Store, Games, Puzzler. Page viewed 3532 times, 1 so far today. Need help on using these apps? Please read the Help Page.